Avmax Group Inc. is looking for a Director of Maintenance for it's Regional 1 Airlines division. The Director of Maintenance (R1) reports directly to the VP of Operations (R1). This title is synonymous with "Person Responsible for Maintenance (PRM)" Responsible to the Accountable Executive (AE), the PRM shall manage the activities of the approved maintenance organization in accordance with the policies set out in the R1 Airlines MCM. • The contents and revision of the Maintenance Control Manual; including, the formulating and approving of policies and procedures to ensure proper management and operation of the maintenance department. • Ensures the direction of the Maintenance Control Manual is met. • Ensures all Transport Canada maintenance requirements are met. • Liaising with Transport Canada and duly appointed representatives thereof. • The overall management, control and proper operation of Aircraft Maintenance Systems as covered by this manual. • Initial development of approved maintenance schedules and ensuring that maintenance schedules remain compliant. • Ensuring sufficient communication with Flight Operations for Technical Dispatch and to coordinate aircraft maintenance with flight planning. • The supervision of maintenance, repair, modification, overhaul and alteration of aircraft and aeronautical parts in accordance with this manual. • Establishing and operation of the Quality Assurance System that meets all applicable regulations and continues to remain in compliance; and notify the accountable Executive of any systemic deficiency and of the corrective action taken. • Works as the human resource manager for maintenance. • Carry out the duties and be responsible for the Safety Management System as described within the SMS Manual and as delegated by the Accountable Executive. • Apply for a flight permit when required. 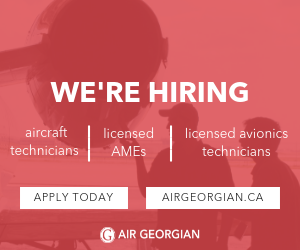 • Must have a valid Aircraft Maintenance Engineers License endorsed for the type of aircraft and level work. • Must have demonstrated to Transport Canada his / her knowledge of planning, implementation and direction of maintenance activities similar to those conducted by company. The Director of Maintenance (PRM) appointed under the Canadian Aviation Regulations (CARs) shall have acquired a minimum of six years' experience in the performance or direct supervision of maintenance activities of the type undertaken by the organization, at least six months of which have been obtained within the preceding two years.